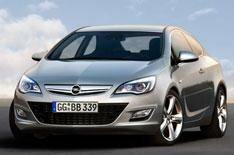 Vauxhall to show GTC Paris Concept car | What Car? Vauxhall will unveil a concept car version of its forthcoming three-door Astra coupe at the Paris motor show at the end of September. The GTC Paris hints at next year's three-door and, says Vauxhall, is inspired by the line 'And the speed was pure beauty,' from Jonathan Livingston Seagull by Richard Bach. The words are laser-etched into the upholstery on the front seats. Images of the concept car will be released in early September, but here's our computer-generated image of what the final car could look like. The Paris motor show will also be the first chance for buyers to see the Astra Estate which goes on sale in the UK this October from 16,575.